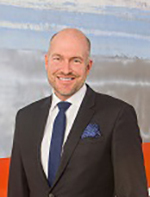 �istein Jensen is the Chief of Staff at Odfjell SE. �istein has naval background, and education from Royal Naval Academy. �istein served as commanding officer on a submarine and also commander submarine command course. After leaving the navy, �istein worked 10 years as director and consultant within sustainability, organizational development and strategy in PwC. �istein has an MBA from Norwegian School of Economics.